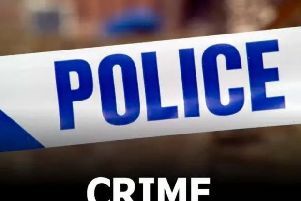 Lincolnshire Police ‘requires improvement’ according to a new independent inspectorate report published today, Tuesday December 15. Her Majesty’s Inspectorate of Constabulary ‘Effectiveness’ report focuses on a range of areas of child and adult vulnerability. Deputy Chief Constable for Lincolnshire, Heather Roach says she acknowledges that HMIC says the force ‘requires improvement’, but says that there are many areas where the force has made significant effort to ensure the safety of vulnerable people. “The report is a fair and balanced reflection of our response to dealing with the most vulnerable people in our community and notes that we do respond well to vulnerable victims,” she said. Mrs Roach says that from early next year, increased resources will be directed to a range of areas covered by the report including child sexual exploitation and abuse, internet grooming, domestic violence and dealing with missing persons. “The investment of staff alone in these areas of business will go a considerable way to improving our response and we are well aware that front line staff need to develop greater awareness particularly in areas associated with child sexual exploitation (CSE) and vulnerability,” she added. The force says it has also come a long way in training front line staff in dealing with domestic abuse and violence. There is an average of 28 calls a day to cases of domestic abuse (10,300 in 2014/15 reporting year). “Each one is unique and demands a professional, objective and caring approach by the officers dealing with them and the report notes our response in this area is good and our policy is clear and well-understood by staff across the force,” said Mrs Roach. She said the force accepts the recommendations about dealing with vulnerable missing persons and says the workshops planned for the new year and the increase in staffing specifically to deal with that area will improve the force’s performance.